NPR News Nuggets: A B.S. College Course, Beer & Sheep Here's a quick roundup of some of the mini-moments you may have missed on this week's Morning Edition. Well wool you look at that? 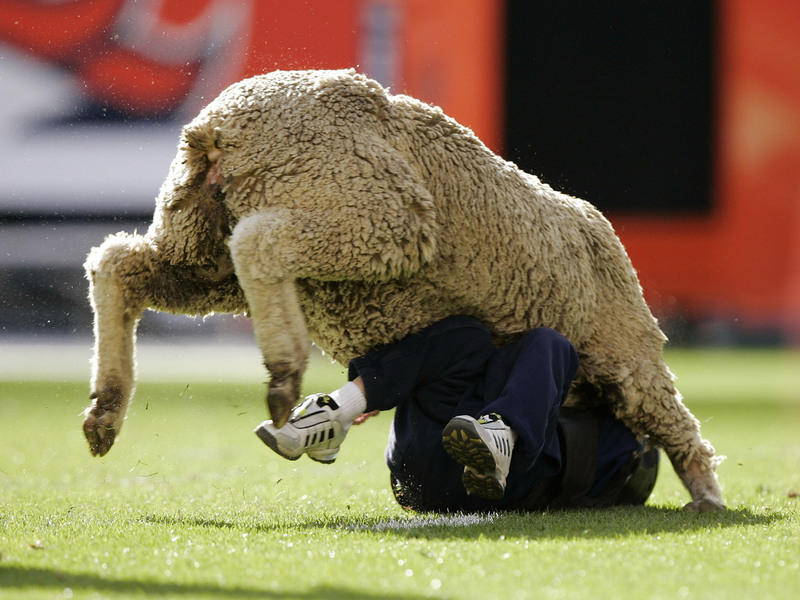 Humans in sheep's clothing will be replacing the fluffy farm animals in a rodeo event where children used to chase sheep around. Call it what is it: B.S. Fake news. Facts. Alternative facts. It's all a little overwhelming these days, but what is true is that some people have a tough time sorting out the truth from all the fiction. It's often thought that these are skills we would all learn in high school, or even before that, but sadly, that's just not the case. One university has a plan. A plan to save us all. As Morning Edition host Rachel Martin said on Monday, the University of Washington is considering adding a new course with a name sure to grab students' attention: "Calling B.S." Yes, the students are going to learn how to call it when they see it. Professor Jevin West says the course is about teaching these students better critical thinking skills. By the time they're done with the course the students will be able to identify B.S., shift through B.S. and respond to B.S. Now, that's what I call a course outline. No B.S. here. Drinking on the job has its perks. Or at least those in the Belgium's parliament think so, and they're not really open to a change of thought. Since the 1990s, members of the country's parliament have been given free beer and wine in the parliament building. Morning Edition host Rachel Martin told us on Tuesday that a member of the ethics committee recently suggested banning the booze so that the quality of debates could improve. Members did not toast to that. And before the free booze? Well the members were apparently sneaking out of sessions to drink instead. Compromise. It's a beautiful thing. Chasing sheep and mutton busting might not be happening in New Zealand anymore, but the cherished rodeo event still takes place around the U.S.
You know how they say imitation is the sincerest form of flattery? I'm wondering if that's true when humans impersonate animals. Let's ask the sheep. 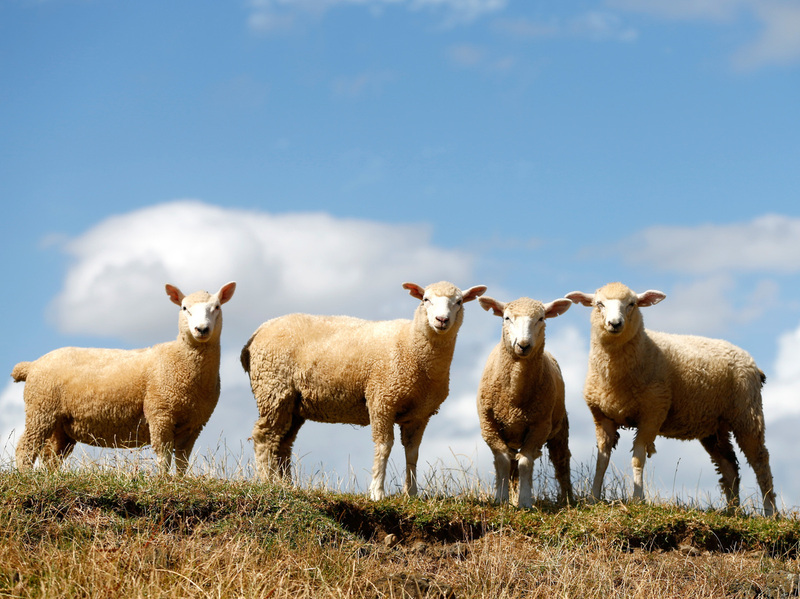 On Thursday, Morning Edition host David Greene explained that a rodeo event on New Zealand's North Island which involved children chasing sheep around, just got upgraded. Animal activists didn't really like the sheep running from these kids, so last year the organizers replaced the sheep with sacks of wool that clowns dragged around the arena. This year the organizers tried a different approach. The kids are chasing sheep, again. Well, kind of. The "sheep" are actually men dressed as sheep. Will they have the wool pulled over their eyes, too? Only time will tell. In the meantime, find your local rodeo and make sure you're there for the mutton busting event. The sheep usually prevail.